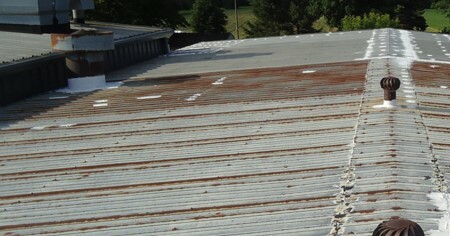 Bringing NEW life back to your OLD roof! 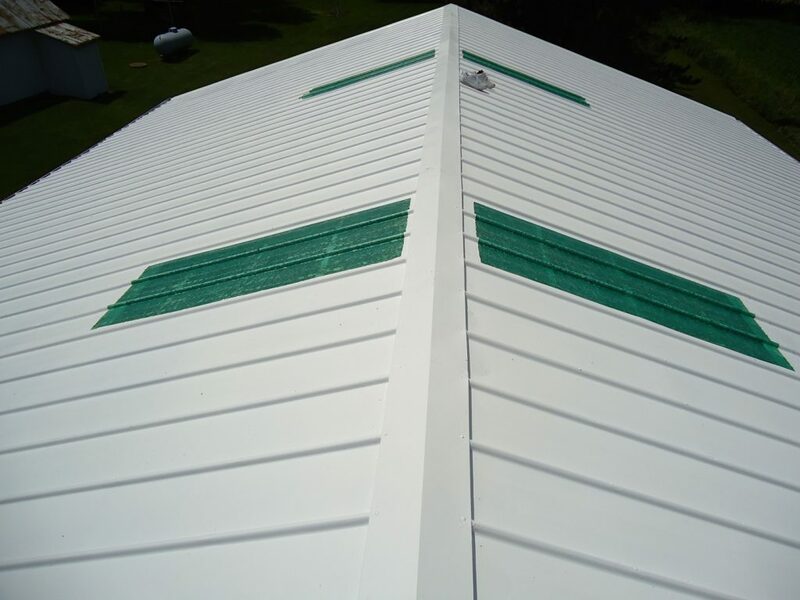 Not only will our coating keep your roof leak free, it will prevent hail damage, is fire resistant, and will help to reduce energy costs due to superior sun reflection! 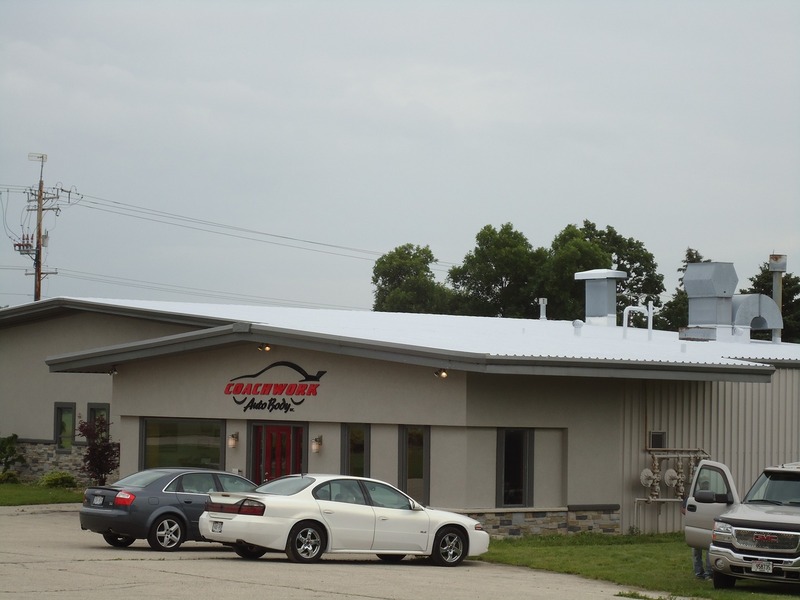 Schweitzer Spray Coatings is a family owned and operated business, located in West Bend WI. 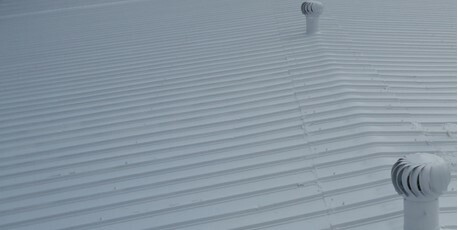 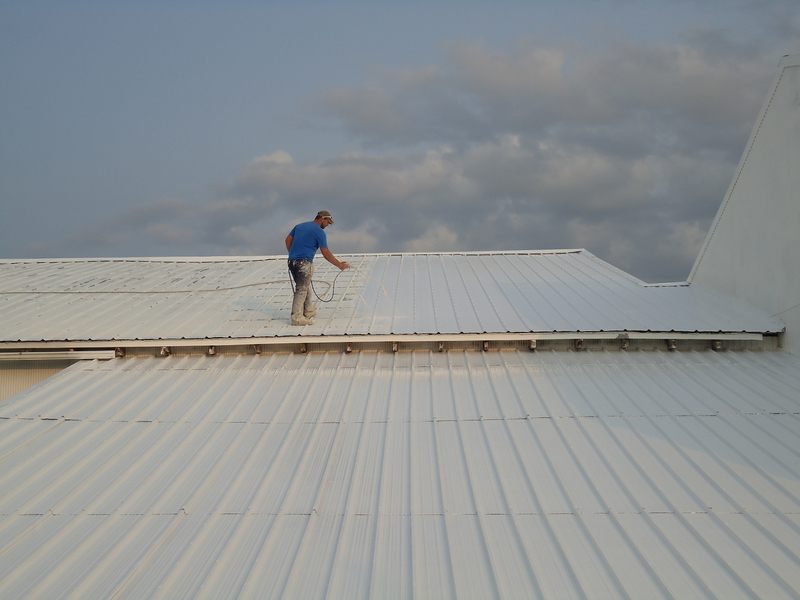 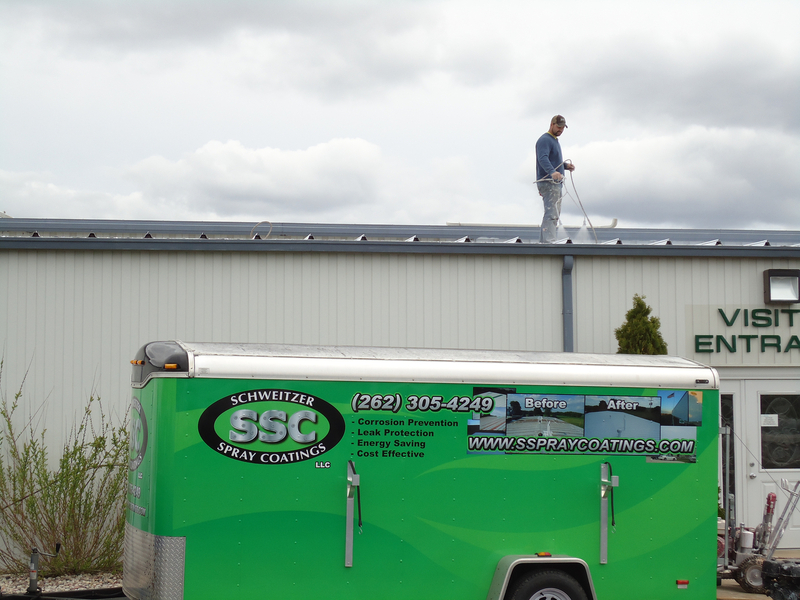 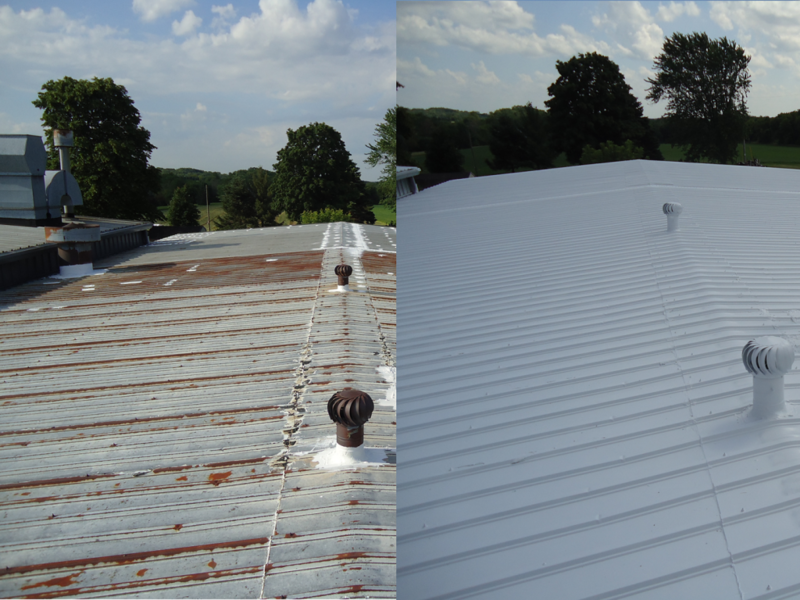 Our company serves a wide variety of roof coatings to Agriculture/Farms, Commercial/Industrial and Residential Accounts. 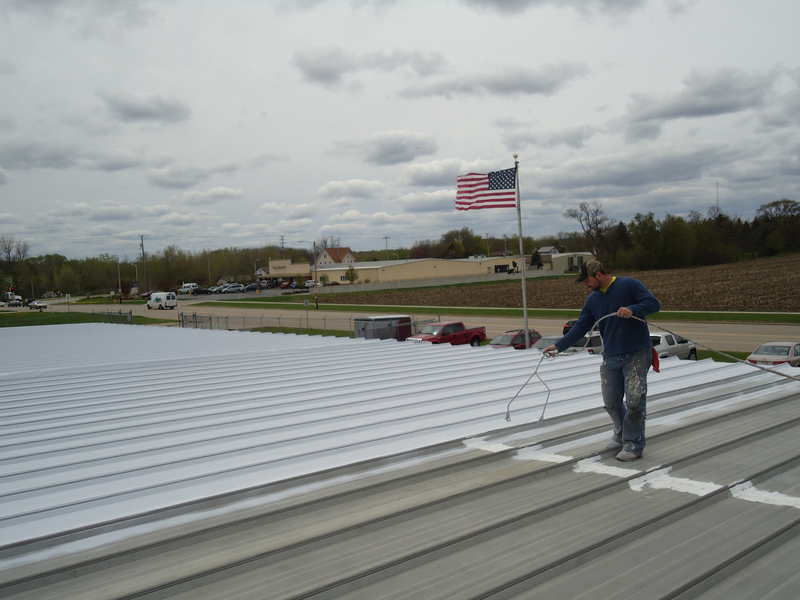 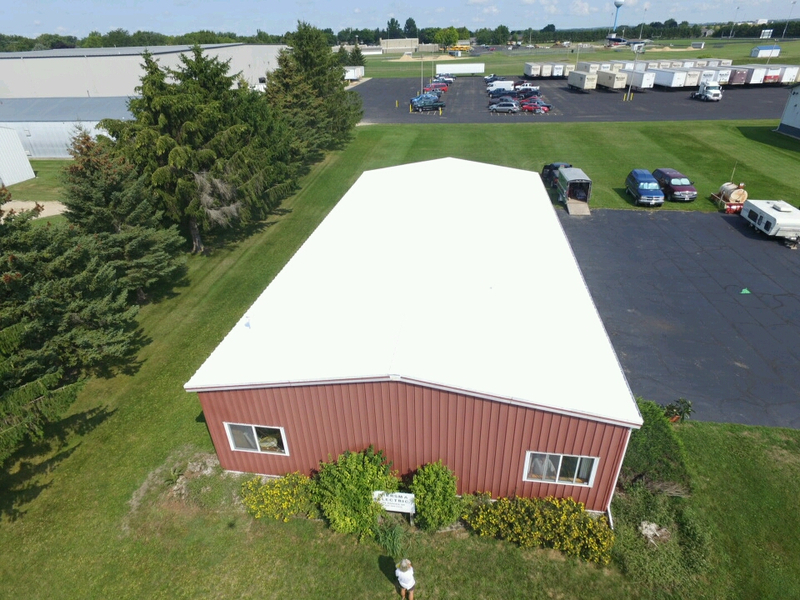 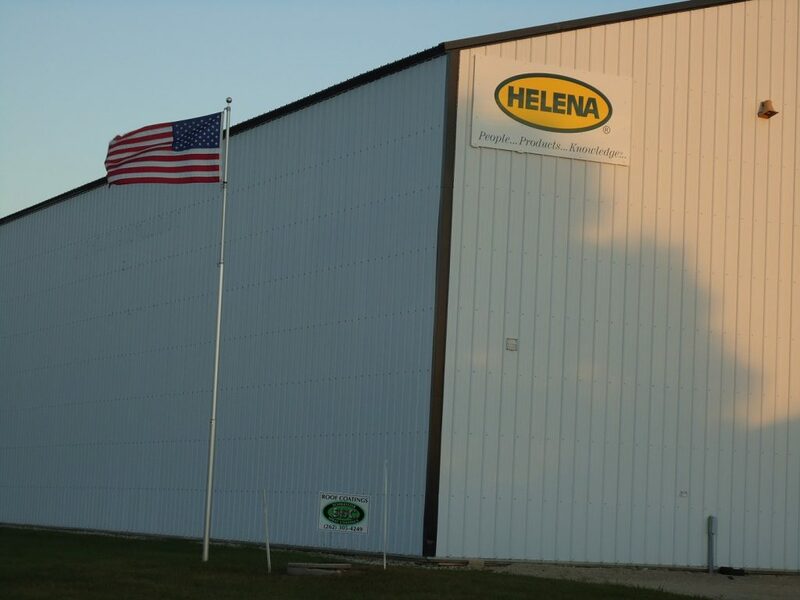 We specialize in coating buildings, pole sheds, barns, and trailers. 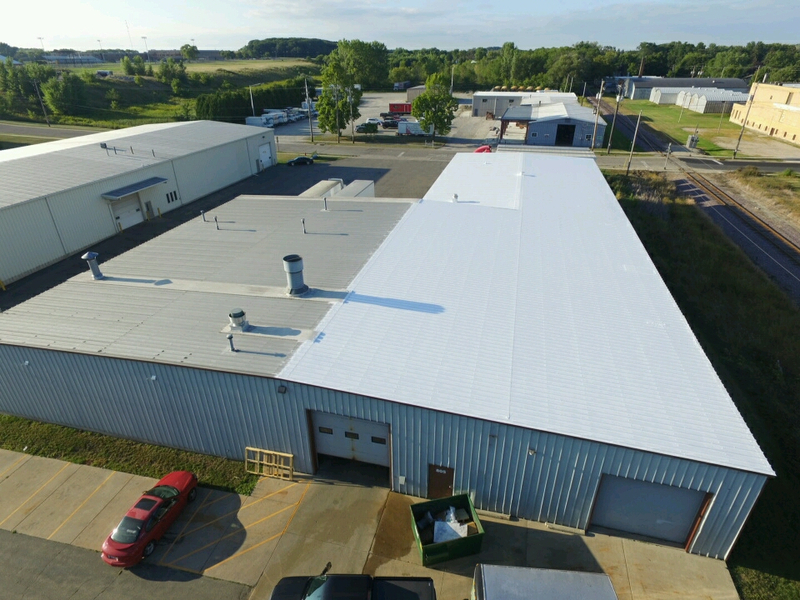 If you are experiencing any leaks, rust, or just need a new paint coating, contact us today for your rubber roof solution. 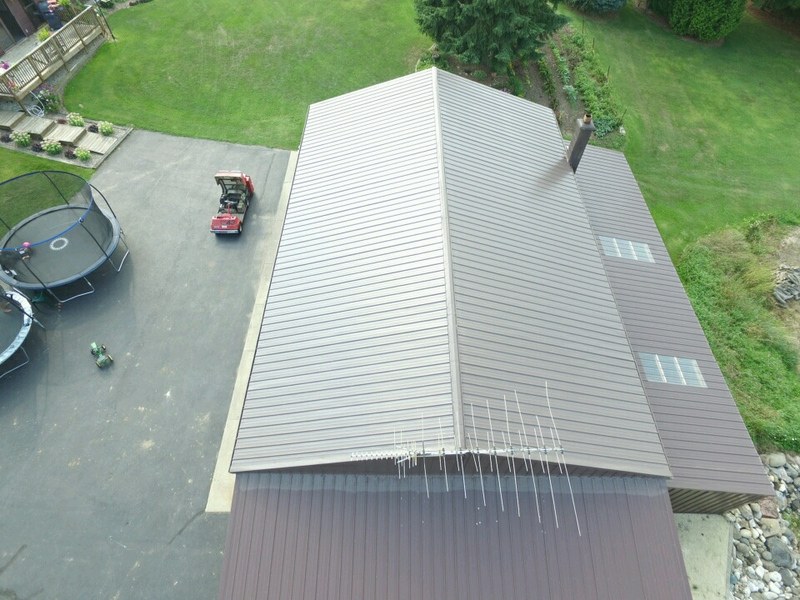 Contact us today, we are ready to answer your questions and provide an estimate to transform your metal roof.